A Miami man is facing federal drug crimes charges after he was arrested for smuggling cocaine inside hard candy in the bag he was carrying on a flight from Montego Bay, Jamaica to Florida’s Orlando International Airport. U.S. Customs and Border Patrol pulled the man aside as he deplaned and subjected him to questioning and an X-ray search, which revealed six bags of sweets filled with the controlled substance. According to Orlando’s Fox 35 News, authorities confiscated 4.3 kilograms of cocaine and arrested the man for importing a controlled substance into the US. Federal crimes are serious matters that can result in long-term imprisonment and significant fines, so talk with an experienced Florida criminal defense attorney if you’re facing charges. Any person who knowingly introduces an item that’s contrary to law into the US may be charged with smuggling. Drugs are controlled substances, so bringing them into the country is contrary to law. The other component of smuggling is that the offender is clandestinely transporting the item. In the case involving the Miami man caught at Orlando’s airport, hiding the cocaine within the hard candy is evidence of the clandestine factor. Mere possession of the goods is all that’s required to support a conviction for a drug smuggling violation under federal law. Unlike other drug crimes, there is no specified amount that will trigger trafficking charges. In the case of the man flying into Orlando International Airport from Jamaica, authorities may also press charges for aviation smuggling. It’s against the law for any individual on board any aircraft to possess an item, knowing or intending it will be introduced into the US in violation of law. As a controlled substance, the cocaine in possession of the Miami man would be contrary to law. 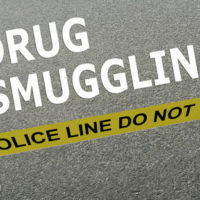 A person convicted of smuggling illegal goods into the US may be sentenced to a maximum fine of $10,000, imprisonment up to five years, or both – if the item smuggled is not a controlled substance. If the item smuggle into the country is a controlled substance such as cocaine, the fine increases to $250,000. The offender may also be sentenced up to 20 years. There are also civil penalties for aviation smuggling, which may apply in addition to the criminal penalties for bringing drugs into the US. The amount owed by a person convicted is equal to twice the value of the merchandise seized by authorities, but the minimum is $10,000. If you’re facing charges for drug possession, trafficking, or smuggling, you may be sentenced to a long-term imprisonment, huge fines, and a suspension of your driver’s license under both Florida and federal law. To fight the charges and present appropriate defenses, you’ll need an experienced, knowledgeable attorney on your side. Contact the office of Fort Lauderdale lawyer Kevin J. Kulik today with questions or for more information on drug crimes cases.